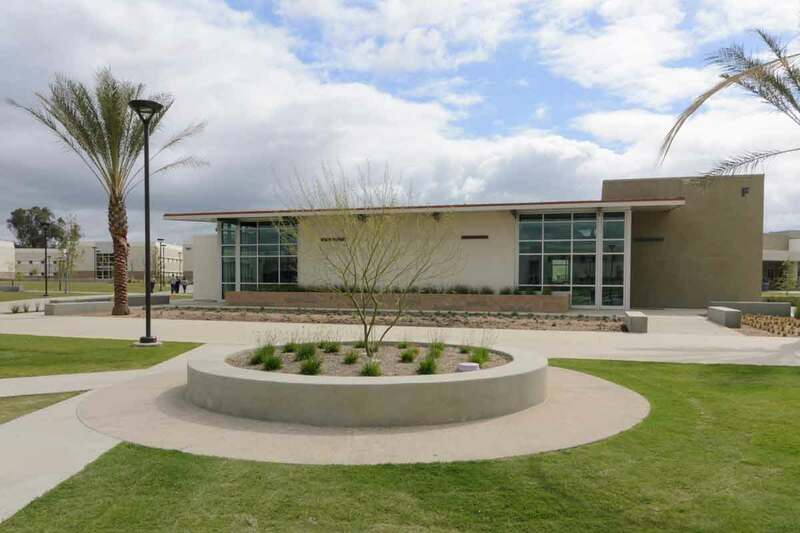 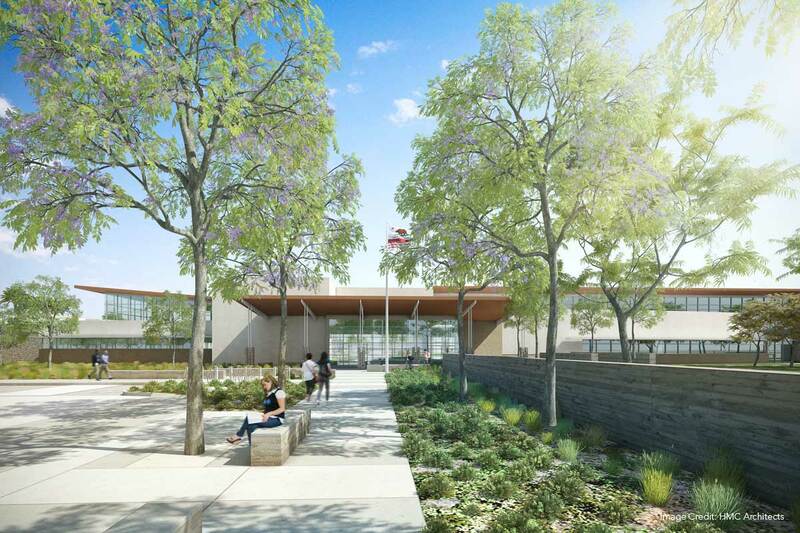 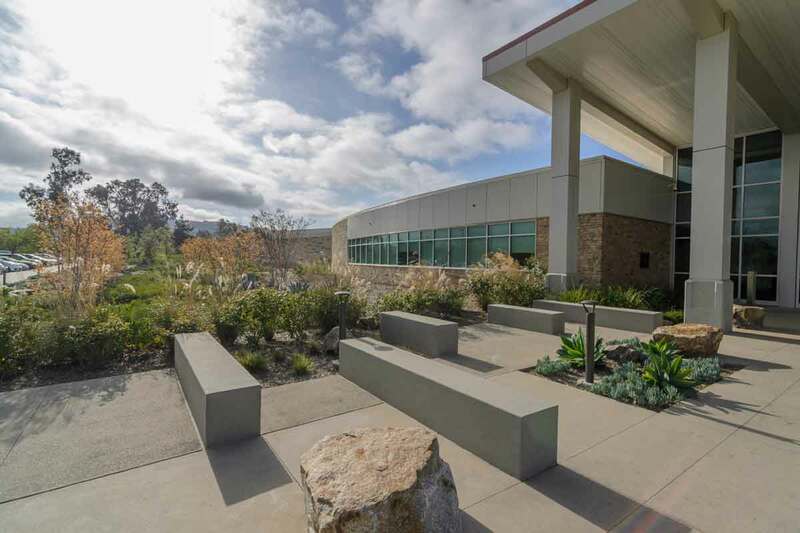 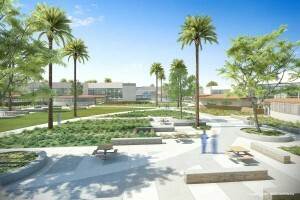 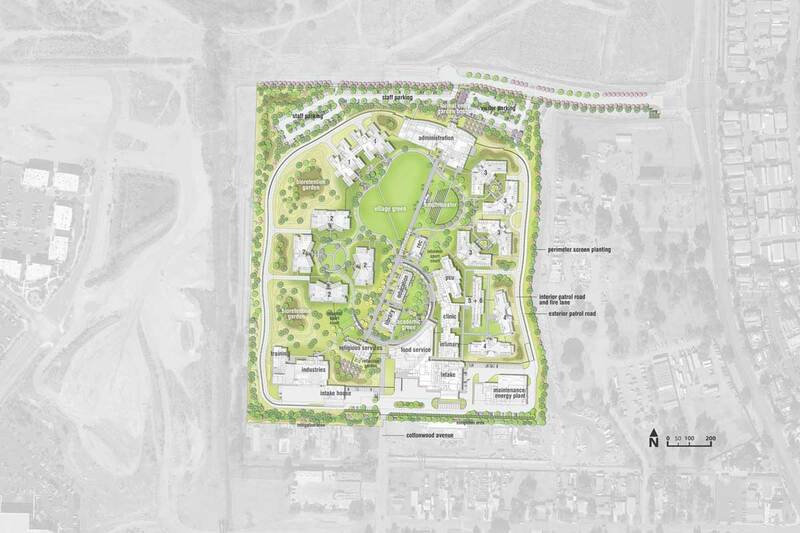 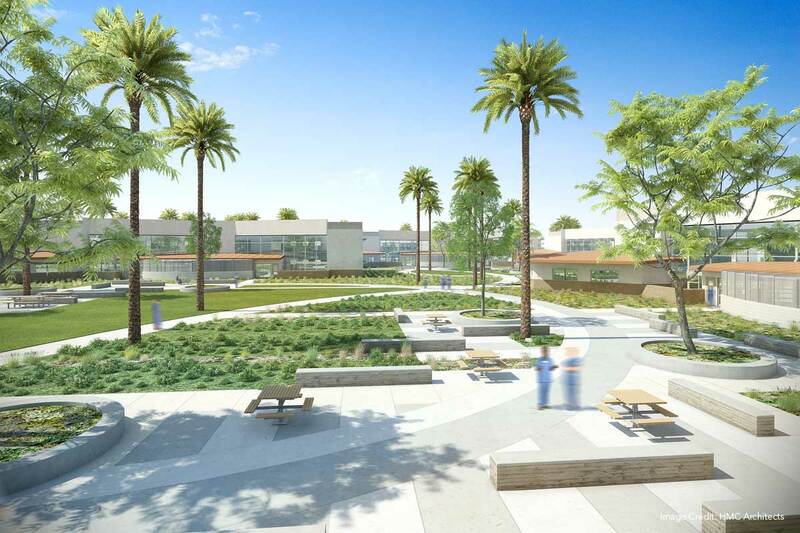 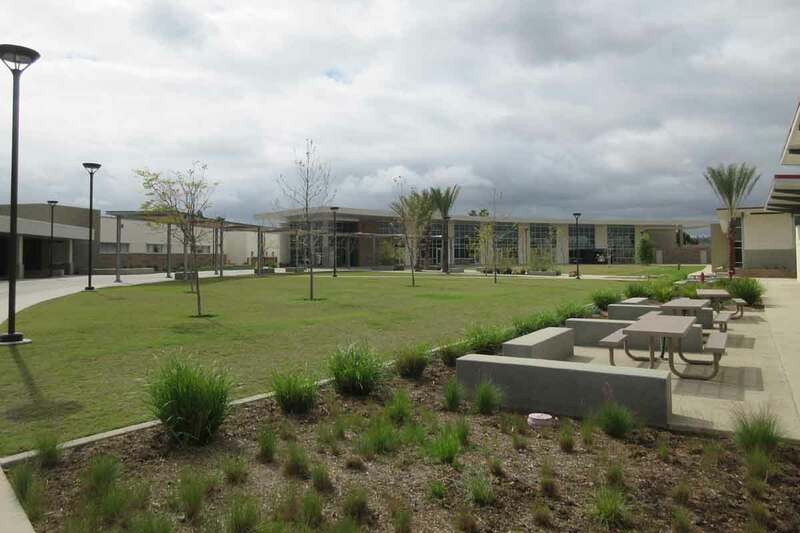 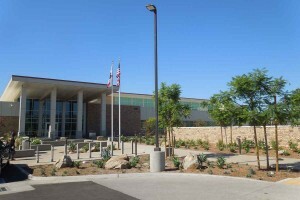 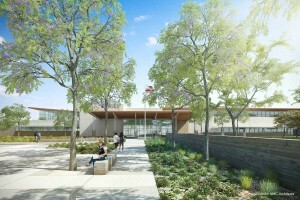 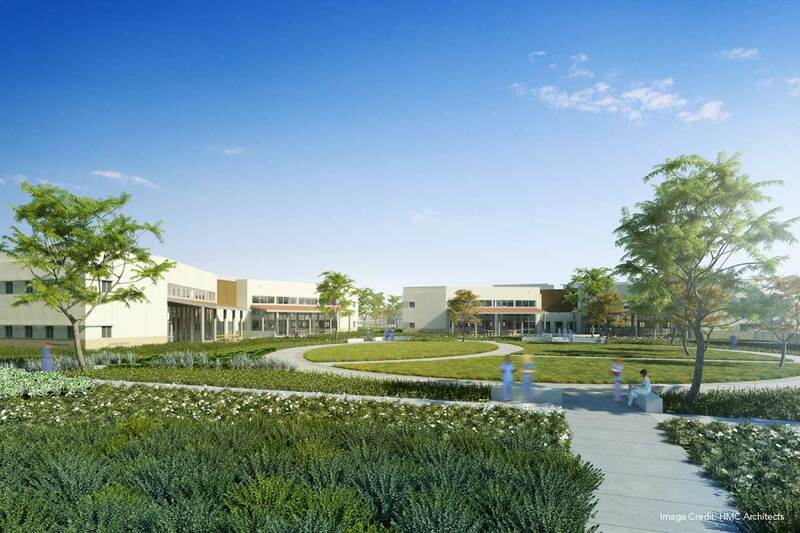 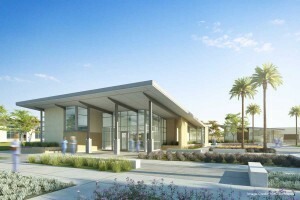 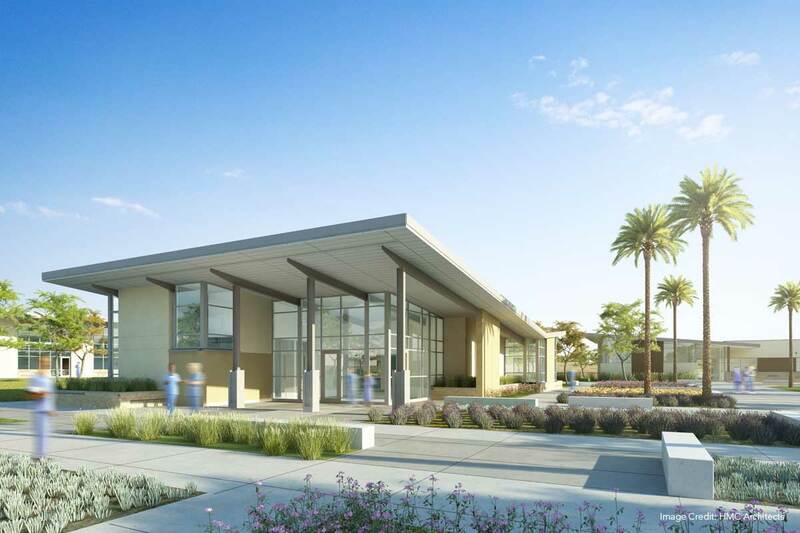 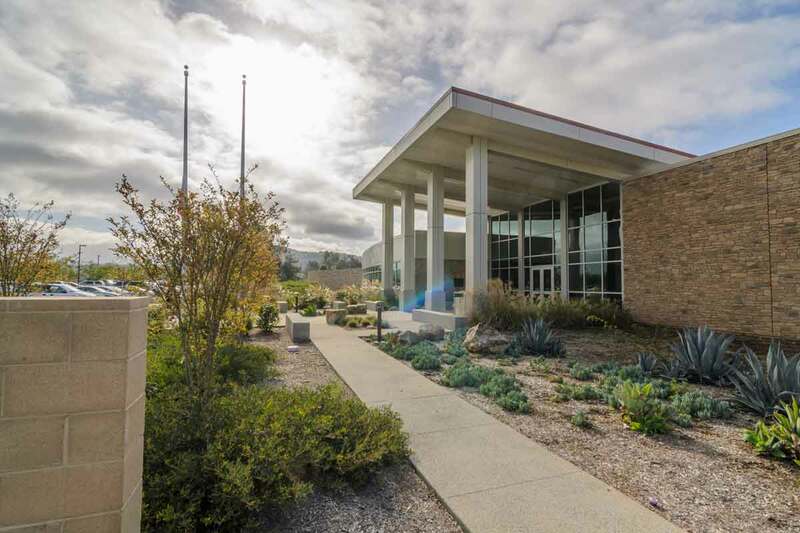 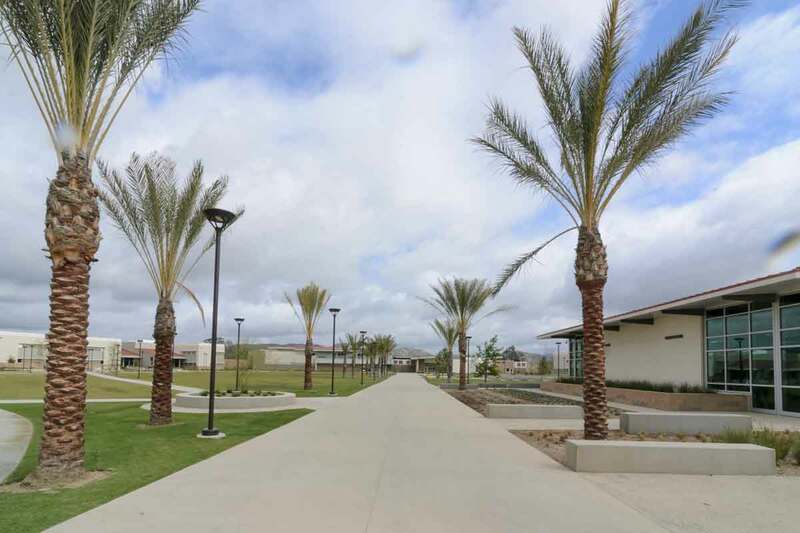 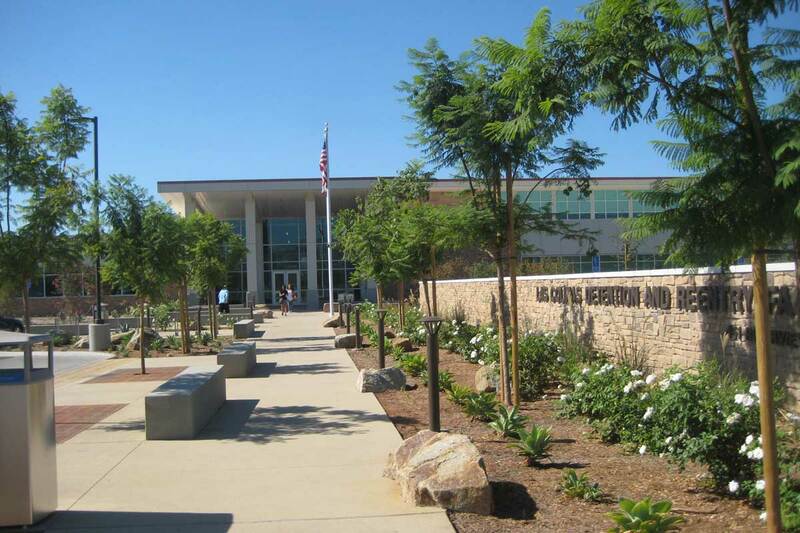 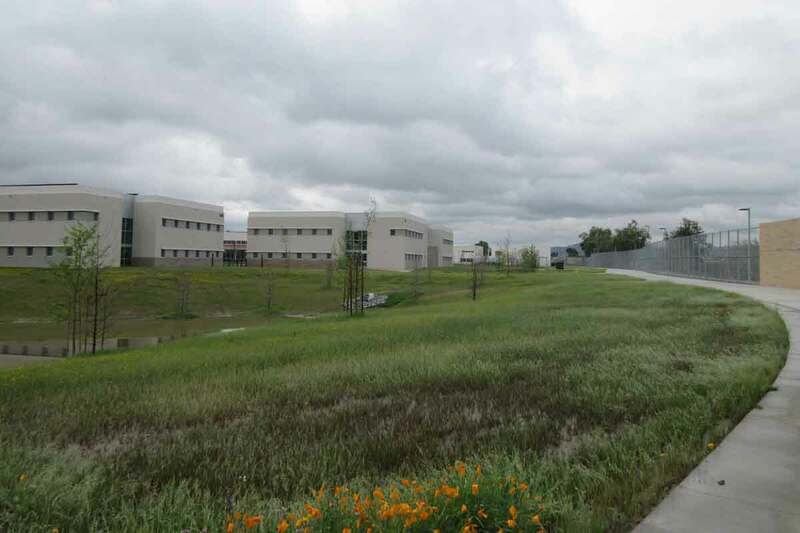 A multi-disciplinary team consisting of Barnhart Balfour Beatty, KMD Architects, HMC Architects and landLAB landscape architecture and environmental design was selected as the winning team for the San Diego County Women’s Detention Facility Competition in Santee, California. 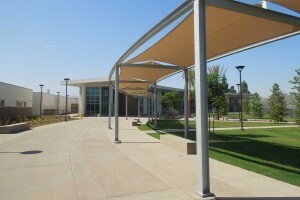 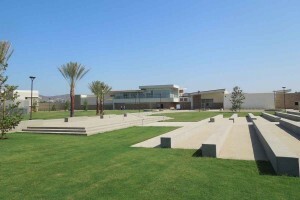 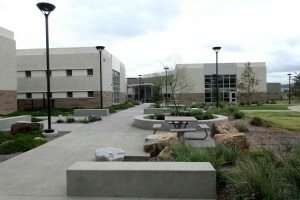 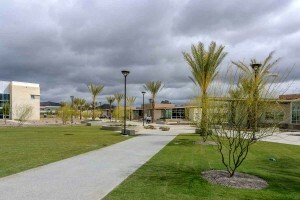 Integrating the facility into the existing community was one of the many design challenges this unique project and program presented. 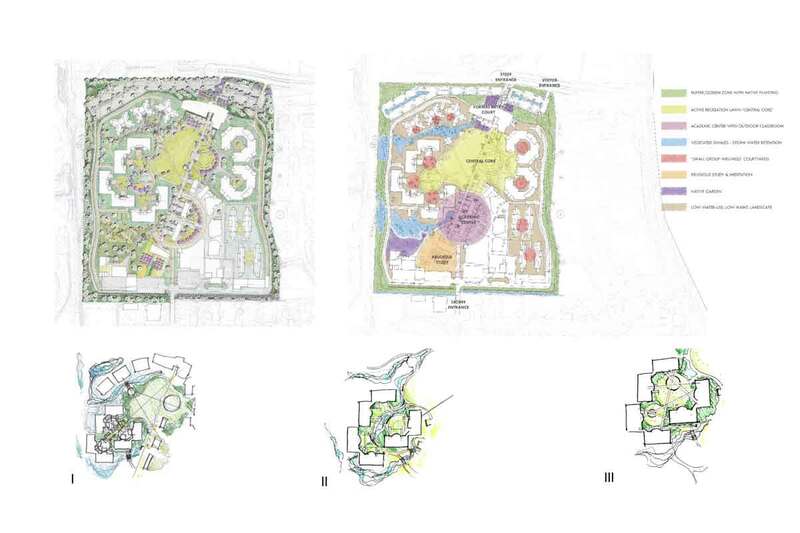 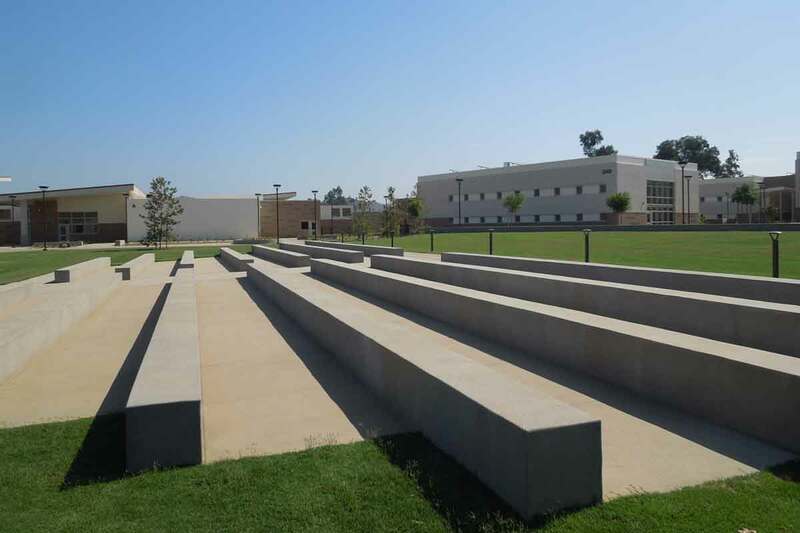 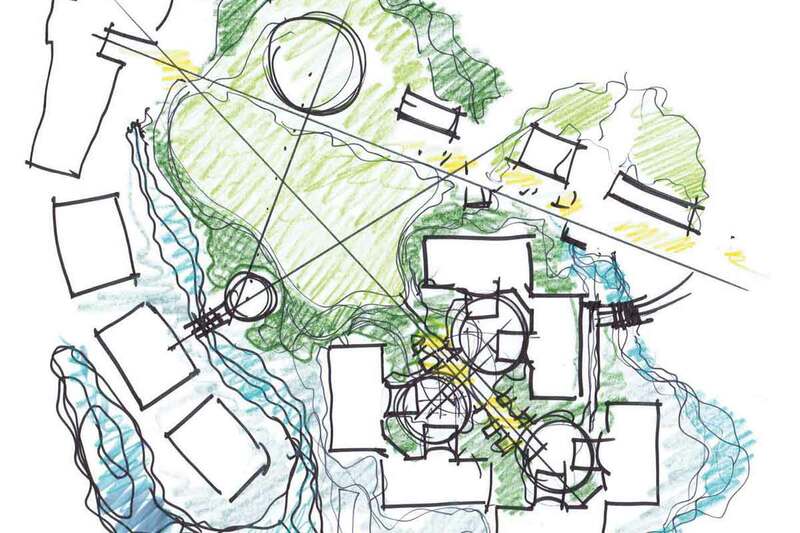 The initial landscape concept drew inspiration from the site’s natural surroundings, history, and prerequisite to create a restorative environment. 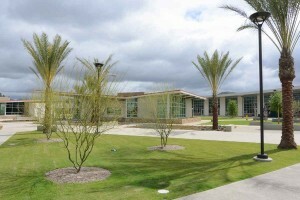 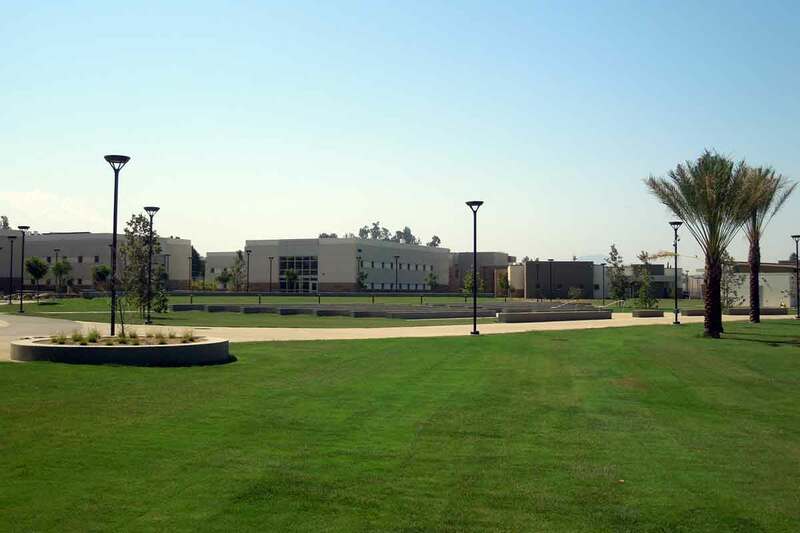 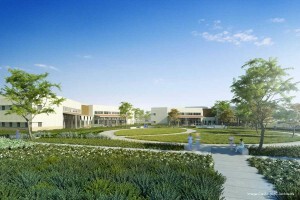 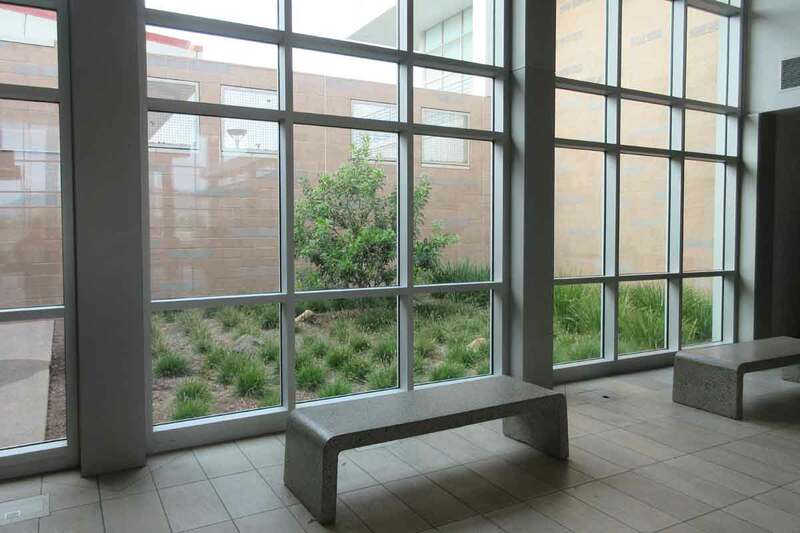 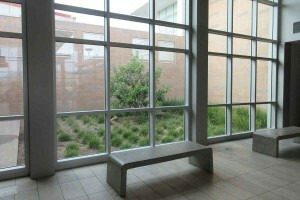 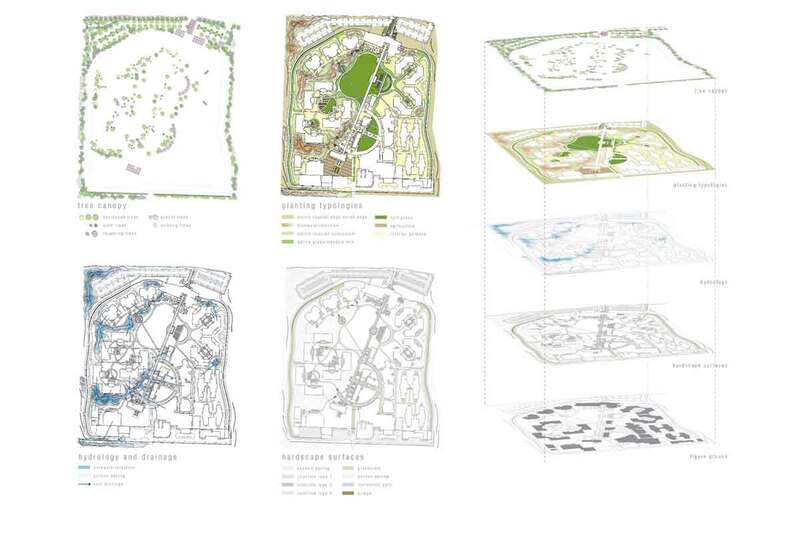 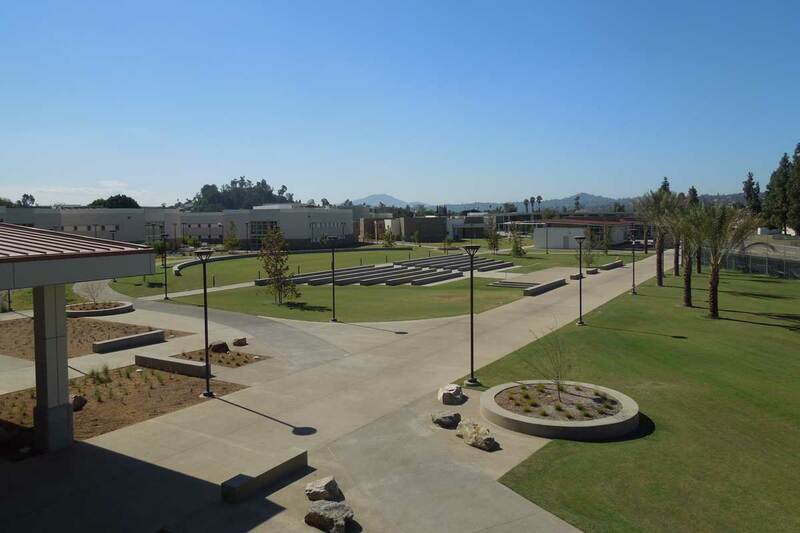 The overall landscape design stems from the necessity and the desire to create a sustainable campus. 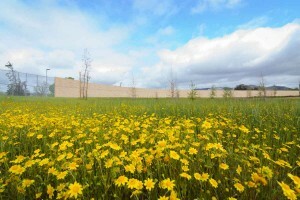 By using sustainable principles as a guide, everything in the landscape has dual purpose. 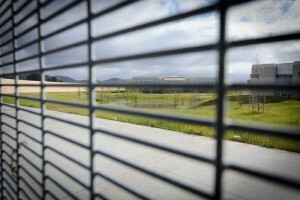 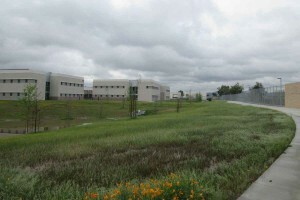 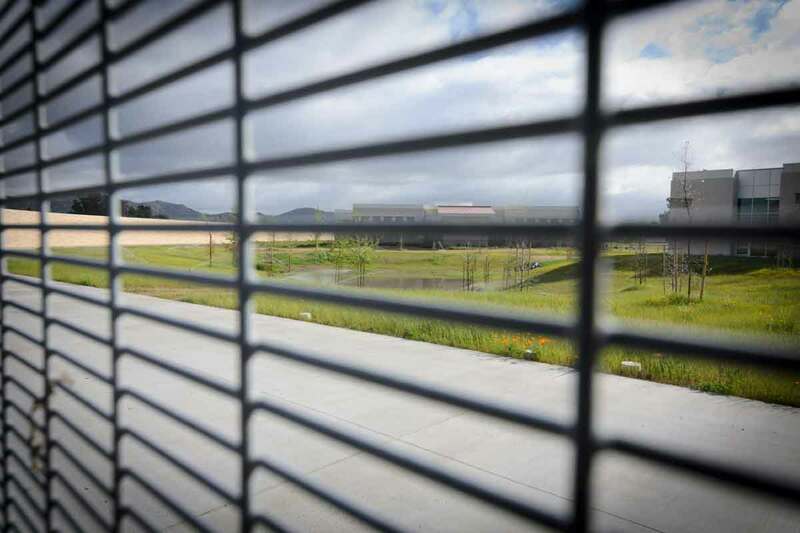 A large perimeter of native shrubs and trees screens the facility while also providing a beneficial natural wildlife corridor. 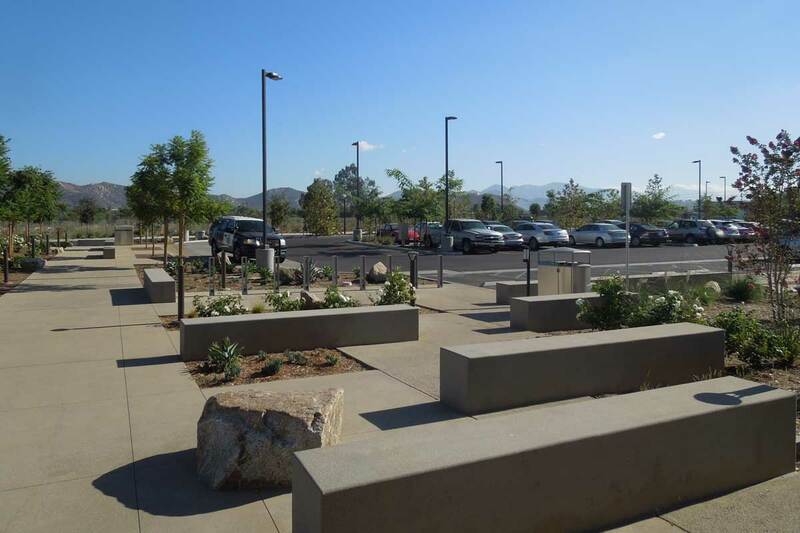 Gently graded, boulder-lined arroyos naturally channel storm-water runoff plus offer aesthetic value as ephemeral stream beds. 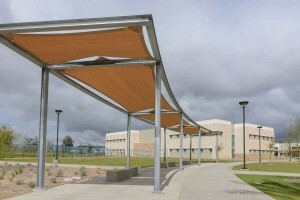 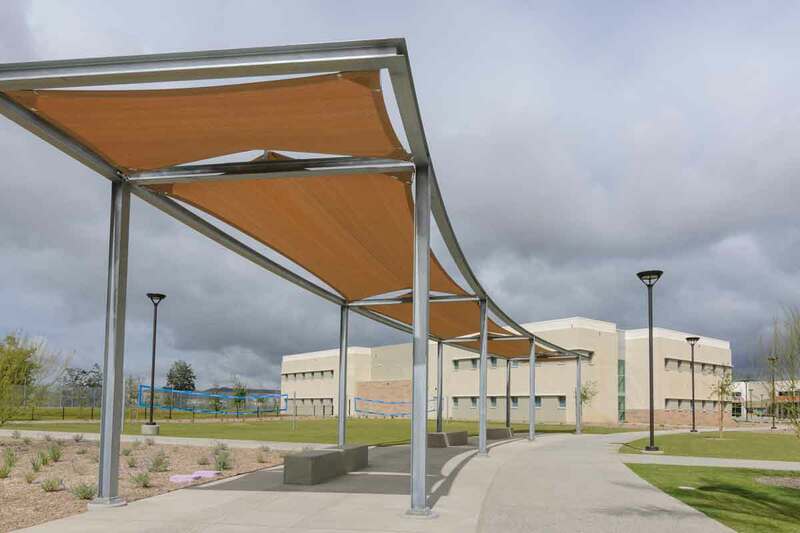 Special features in the landscape will include integrated shade structures, seat walls, volleyball courts, greenhouse and an amphitheater space for larger functions.